Chicago hottest line-up of summertime concerts is not in Chicago, but at RiverEdge Park, Aurora. One of the Chicago area’s newest concert and event venues offers city views along the Fox River in Downtown Aurora. The summertime line-up begin June 3-4 with the Two Brothers (brewery) Summer Festival. This year’s headliners include: Cold War Kids, Lord Huron, The Lone Bellow and PHOX. Then the summer season kicks into high gear with the 20th Anniversary of Blues on the Fox. 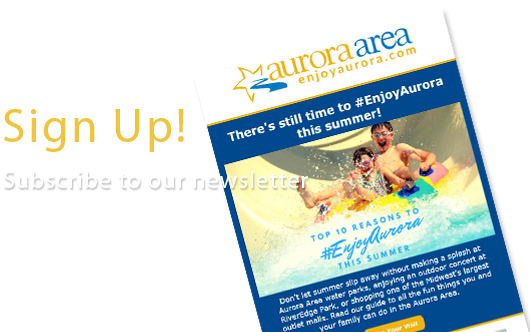 Celebrate Aurora rich Blues history with a stellar schedule of top artist including The Robert Cray Band, Marci Ball, Tedeschi Trucks Band, Los Lobos, Larry McCray, and Leland. This year’s Blues on the Fox is sure to be historical. From here on it’s a non-stop ride of great concerts, top-name entertainers and summer fun on the river with: Kool & The Gang, June 24; Willie Nelson & Family with Kris Kristofferson, June 25; Weird Al Yankovic, July 2; KC & the Sunshine Band, July 3; Hollywood Vampires with Joe Perry, Alice Cooper and Johnny Depp, July 7; Air Supply with Blood, Sweat & Tear, July 16; Pat Benatar & Neil Girlado with Melissa Etheridge, July 22; American English at Downtown Alive!, July 29; The Beach Boys, August 5; Alan Jackson with Lauren Alaina, August 6; Boz Scaggs with America, August 20 and Get the LED Out Led Zeppelin tribute, August 26. RiverEdge Park is located along the Fox River in Downtown Aurora with an easy walk of Metra and ample parking. Start and finish your night at one of the area’s dining destination including Two Brothers Roundhouse and Ballydoyle Irish Pub. Cap it off with high-stakes gaming at Hollywood Casino Aurora. The new Holiday Inn Express-Aurora is an easy walk from RiverEdge Park, Aurora Metra station, Hollywood Casino Aurora and Downtown Aurora dining.